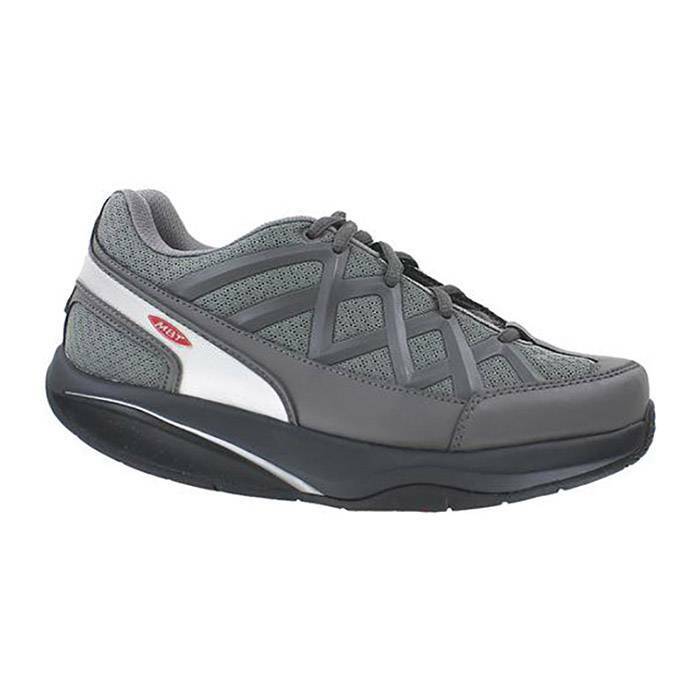 Breathable, agile and athletic best describes the MBT Mens Sport 3 Gray. A mixture of synthetic leather and mesh uppers finished with a mesh footbed make the MBT Mens Sport 3 Gray light and comfortable. Add MBT’s signature patented rocker, non-marking outsole it is easy to see why the MBT Mens Sport 3 Gray is a fan favorite The natural instability of the unique MBT® (or Masai Barefoot Technology) sole imitates walking on soft, uneven surfaces. The technology in the sole has been patented worldwide to provide the greatest comfort possible, as it allows you to enjoy the natural benefits of walking every day. With a strong science and innovation foundation, MBT® has a unique approach that understands the human benefits of health, wellness and staying on the move. We know our consumers have realistic health and fitness ambitions. They want to maintain a healthy lifestyle which enables them to live and love life to the fullest. However, for many the pursuit of living a more active lifestyle is difficult. The packed nature of our busy schedules means that healthy activity gets squeezed out by life commitments. MBT® wants to break the start-stop cycle of broken health and fitness resolutions by working with the reality of today’s consumer. When wearing MBT® shoes, whether standing or walking, one can’t help but be “on the move” due to its patented construction. So whether you are going for a walk or just standing there, you’re on the move. And if you just happen to want to look mighty cool in the process, we understand that too. It’s only human.